Wow, $40 for a custom Fathead! 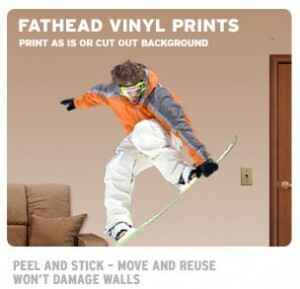 If you haven’t heard of Fathead before, they’re vinyl prints that can be stuck on walls, and easily moved and re-used. The deal is for a medium-sized Fathead, which are regularly priced at $69.99. The $40 price includes shipping. The fun part is that you can upload any photo or image you want, and Fathead will make you a medium-sized (2 ft x 3 ft) vinyl version for $40. It’s a super cute way to decorate a kids room, or prank your boss. 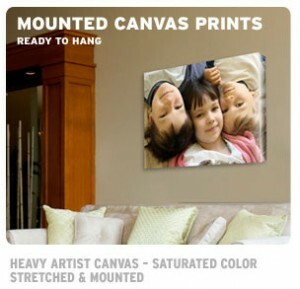 And what a perfect sendoff gift for your college co-ed, vinyl prints of mom and dad for their dorm room wall! Yes!